Oprah for President? No Thanks! 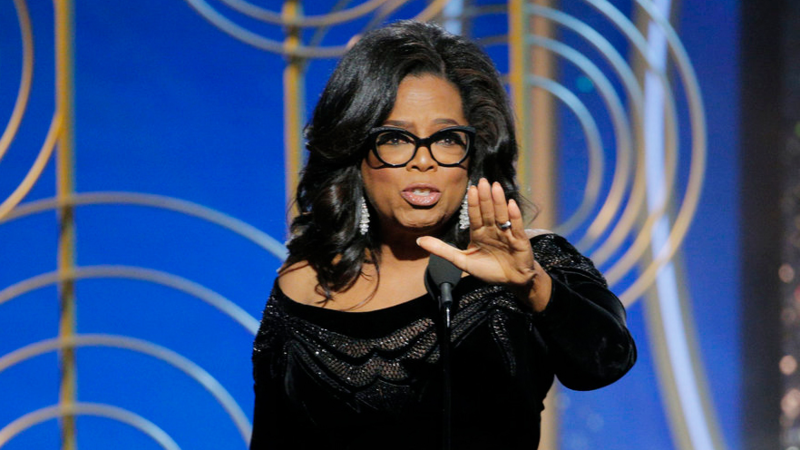 As I signed into my newsfeed this morning, one of the top trending items to cross my screen was Oprah Winfrey’s rousing Golden Globes Cecil B. DeMille Award acceptance speech. I’m not a fan of Oprah and her hot-aired opinions, but I wanted to see what all the fuss was about. People stood, they applauded, they bowed down, they looked on adoringly, they even went as far as to say that she would be a good candidate for president. Really? I thought. Have y’all lost your ever lovin’ minds? Now don’t get me wrong. I will give credit where credit is due. Oprah rose from a seemingly hopeless childhood, and she fought and overcame an awful lot to arrive at the position she is in. But so have a lot of people. Ben Carson is black and was born into poverty to an illiterate mother, but even so he overcame. Through hard work and persistence, he became one of the world’s leading doctors in his field. Countless people can stand up and tell their stories of triumph. Hundreds could tell of how prejudice and abuse have hindered their journeys in life. Thousands of white women have been attacked and assaulted by black men and vice versa. Thousands of black and white children are abused by their black and white parents. Most of Oprah’s speech was rhetoric, good hashtag material, stuff we already know. But because it came from Oprah’s lips, it is somehow inspired, profound, worship worthy. Whatever. So here’s my question. Why are we as a society paying attention to anything that comes out of Hollywood? Haven’t the majority who work there proven themselves to be hypocrites? The tales of abuse from that corner of the world that have recently hit the news are terrible, disgusting. But people! This has been going on for decades. Many prominent women in the entertainment industry have known about the depravity in the business and have done nothing about it! This makes those women in Hollywood accomplices, not heroes. For Oprah Winfrey to stand up and tell all the “magnificent women” and “some pretty phenomenal men” (she had to throw in the men because, well, ya know, equality matters) that “a new day is coming, where nobody ever has to say #metoo again” is one of the most ridiculous things I have ever heard. Not only is it unrealistic, but it is completely disrespectful to the majority of men who are good, well intentioned, and supportive of women—like the men I am raising my sons to be. For the Christian who lauds Oprah and her words, hear this: Oprah is a charlatan. She has bought into and peddles a philosophy, a religion, that flies in the face of God and His precious Word. If you heed anything Oprah has to say, you are being deceived. Sin is here to stay. Not matter how many speeches we listen to, marches we participate in, or celebrities we expose, sin abounds. The only, to quote Oprah, “new day that is on the horizon” is the day when Jesus will return for His people. May we remain faithful to what is true and right. And while we wait, I pray, “Please Lord, do not let Oprah become our future President!